1 oz Freedom Girl Silver Shield Rounds are a new modern version of the Peace Dollar, which is regarded as one of the most beautiful coins in the world as well as one of the most classically stunning coins in the US Mint's history. This modern Freedom Girl Silver Round brings a gorgeous update of the classical silver Peace Dollar. Freedom Girl's parted lips and gaze look forward to a future of Freedom. Her shoulder arches forward drawing more emotion from this modern beauty. She is finished off with modern cues of a hoop earring and a tattoo of the Trivium. The Trivium is the foundation for individual freedom from outside manipulation. This popular Freedom Girl Silver Shield Round is sure to make a great addition to any Silver Shield Round collection or as a gift for anyone who values beauty and meaning. Golden State Mint (GSM) is a recognized full-service precious metals and silver bullion round mint and refinery that has been in the precious metals business for 40 years. Some of their affiliations include the International Precious Metals Institute (IMPI) and the Industry Council for Tangible Assets (ICTA). The Golden State Mint offers a broad range of silver bullion rounds for the savvy silver bullion buyer. Why buy 1 oz Freedom Girl Silver Shield Rounds from Kitco? Kitco is a trusted leader in the silver bullion and physical precious metals industry. 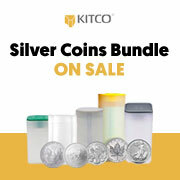 Silver rounds and other precious metals sold by Kitco are recognized in silver bullion markets around the world. With our focus on silver bullion, you can benefit from our low silver round prices and premiums that are highly competitive in the silver bullion round industry. At Kitco, we make it easy for you to manage your tangible wealth. You can sell or buy silver rounds and other precious metals using our convenient online store, or by contacting our team of highly trained precious metals specialists. Backed by our global information network, Kitco has been proudly serving our customers since 1977.